Hello again from Singapore! 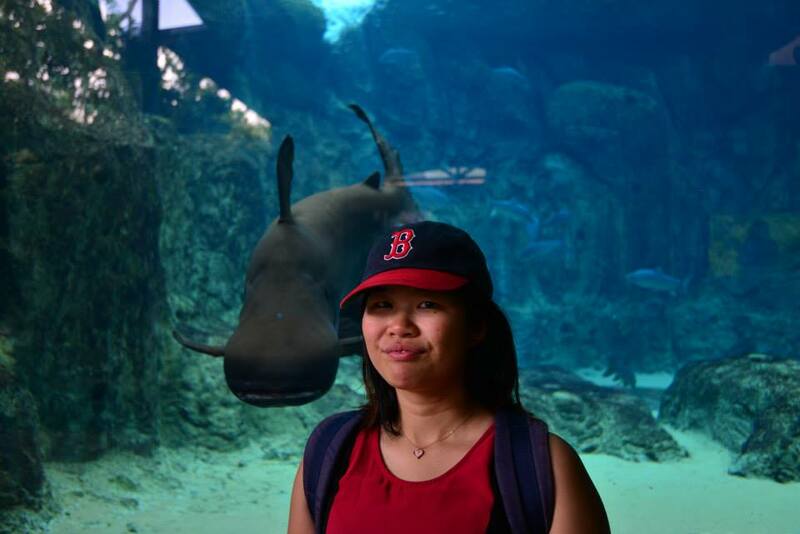 After barely getting to Singapore, Grace has taken me all over the island, meeting friends and family, seeing sights, and most frequently, eating food. We still have a couple days left here, but I’ve had enough time to make and process my observations. Plus, today is Singapore’s 50th National Day, the “golden jubilee” anniversary of independence, an appropriate time to post. 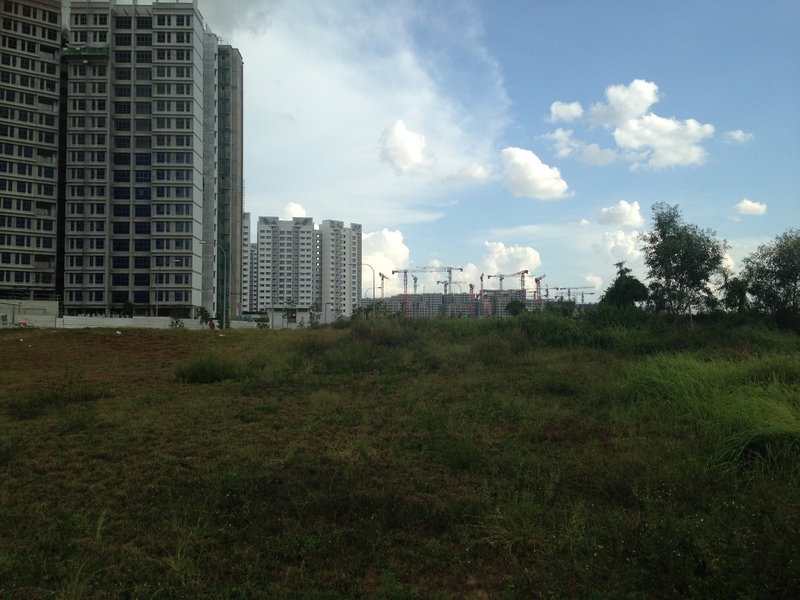 My observations and thoughts are combined into five characterizations of the city-state of Singapore I’ve picked up on. Eating is now a hobby. That last paragraph basically described our meals every day. Our daily schedule usually consisted of meeting some friends for lunch, some friends for dinner, and sometimes more friends in between over bubble tea or dessert. Maybe a third of the meals have become progressive, moving from the bubble tea shop to the main restaurant to dessert somewhere else. Frequently, we’d stay later in the restaurant than I felt comfortable with, until I realized that it was well after a usual meal time and plenty of other tables were also available. No other day was as packed, but this wasn’t that far outside the norm. Eating is the national pastime of Singapore, and every time we’ve met up with friends it’s been over food from one or two different locations. Where do we get all of this food? 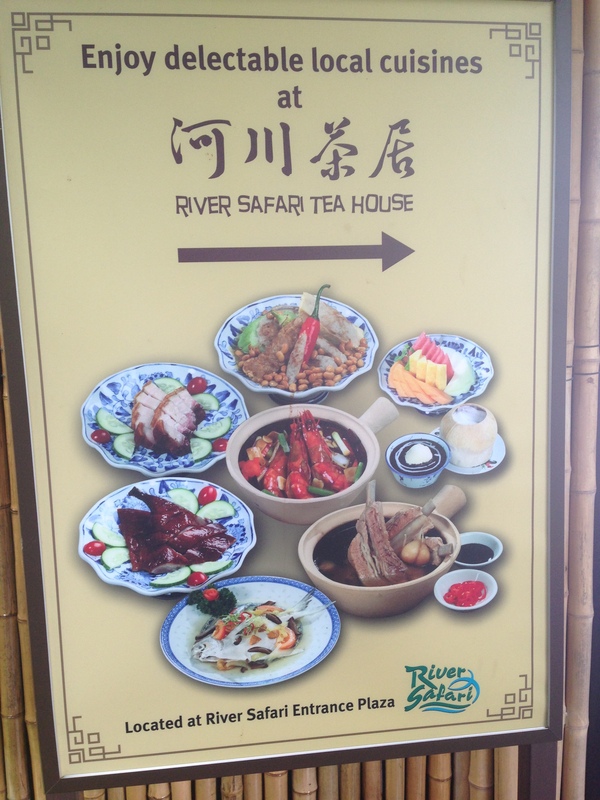 There are various options for eateries in Singapore. Keep in mind that 1.30 Singaporean dollars is about the same as one US dollar. A couple of the stalls in this image were not open at the time we went, shuttered and unlit. 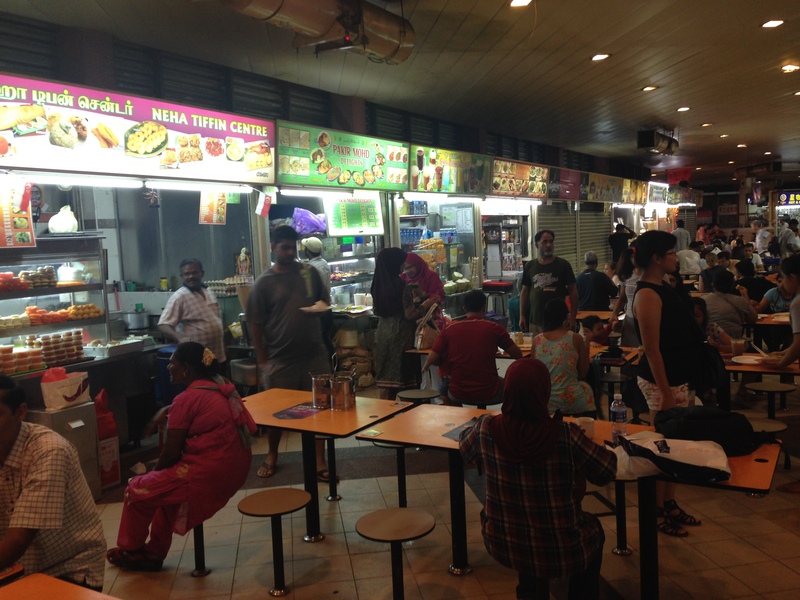 At another hawker centre we went to, we were one of the last customers to be served before they ran out (and there was only one item available). Each of the stalls are licensed and submitted to a health board review. 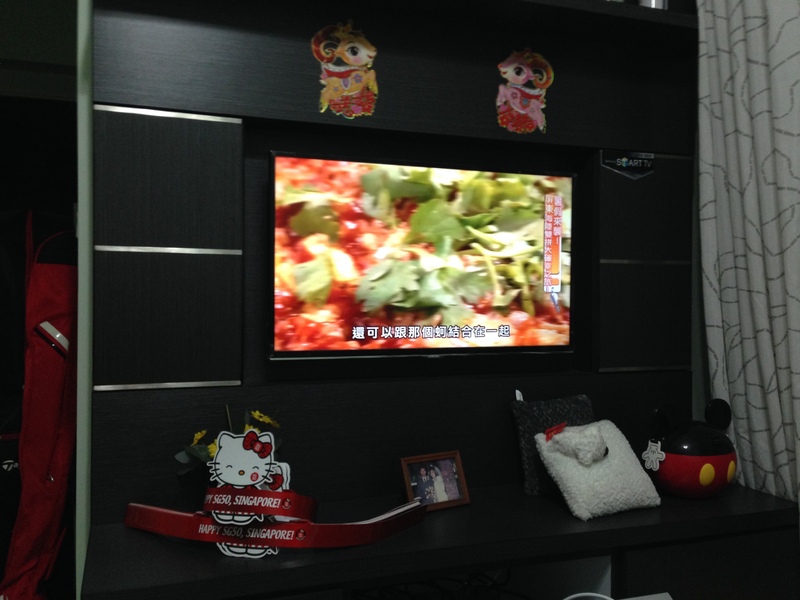 The result must be prominently displayed, like in the US. If you look closely, you can see a few “B” ratings on green sheets of paper in these stalls. As you can see, the stations are all allotted the same space, but they choose to advertise themselves differently, often with brightly colored lights. This was about half of the stalls at the food court; I also remember Indian and Indonesian food, ice cream, and dim sum stalls. 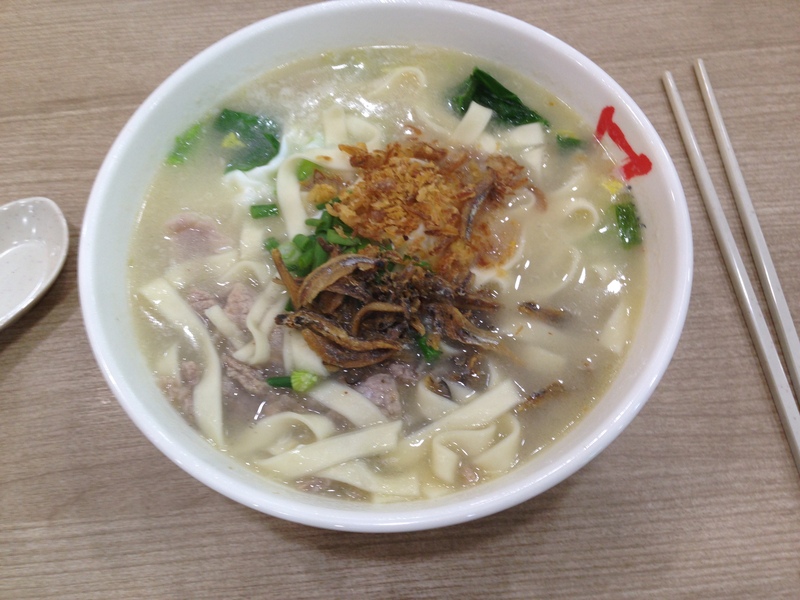 Noodles with beef: Just S$3! This food court is much cheaper than most, though. “Coffee shops”: Somewhere between a hawker centre and a food court. All the booths are standardized, but there isn’t air conditioning. Rather than being downtown, they’re typically in the more residential areas. We almost went to one of them, but ended up going home instead. 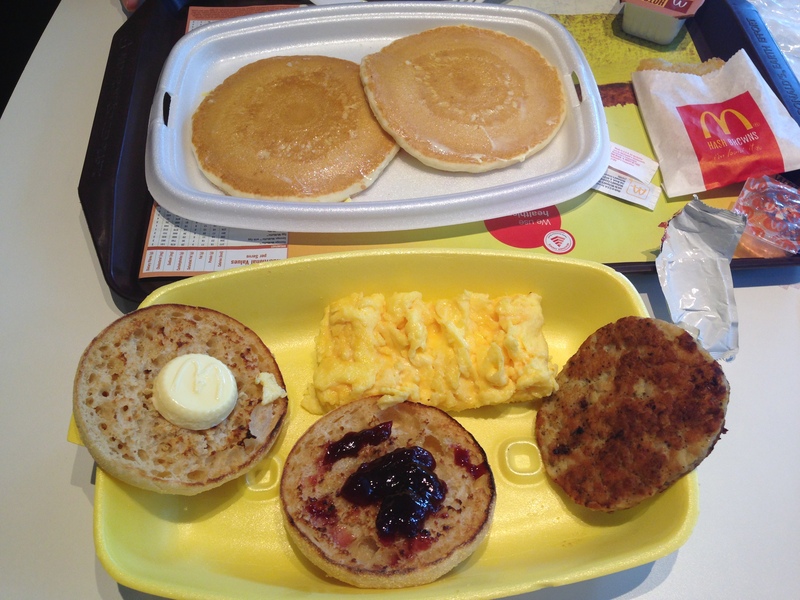 As Grace craved, “Hash browns!” I was looking forward to a comparison with sausage egg McMuffins from the US, but she heartily recommended the grape jelly, which was indeed tasty. Overall, we tended to go to various restaurants about 80% of the time. 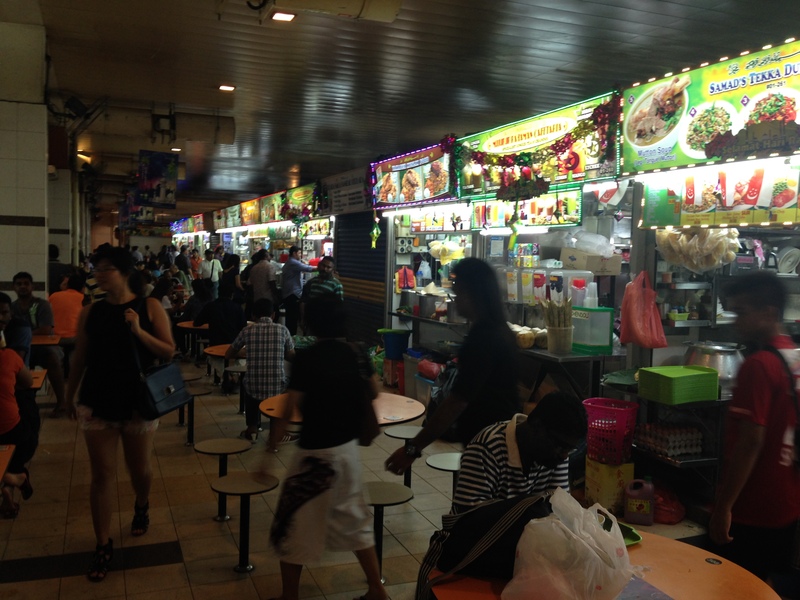 Singapore seems to be very comfortable with chains spreading (either originating in Singapore or the West), but still enamored with their hawker centres, particularly some of the very best stalls which can only be found at one place (and behind a large queue). 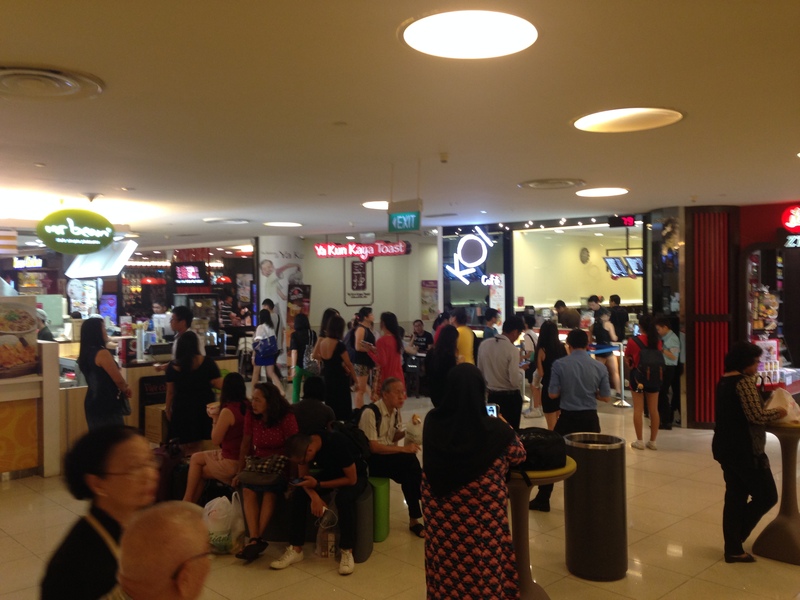 In fact, “queuing for food” is perhaps an even more appropriate national pastime of Singapore. This place rounded 75% down to 70%. I always got less ice, every time I remembered to. But planned meals and gatherings are just the beginning of the infiltration food makes into Singaporean culture. On the first Tuesday, I went with Grace and her parents to visit her paternal grandmother. 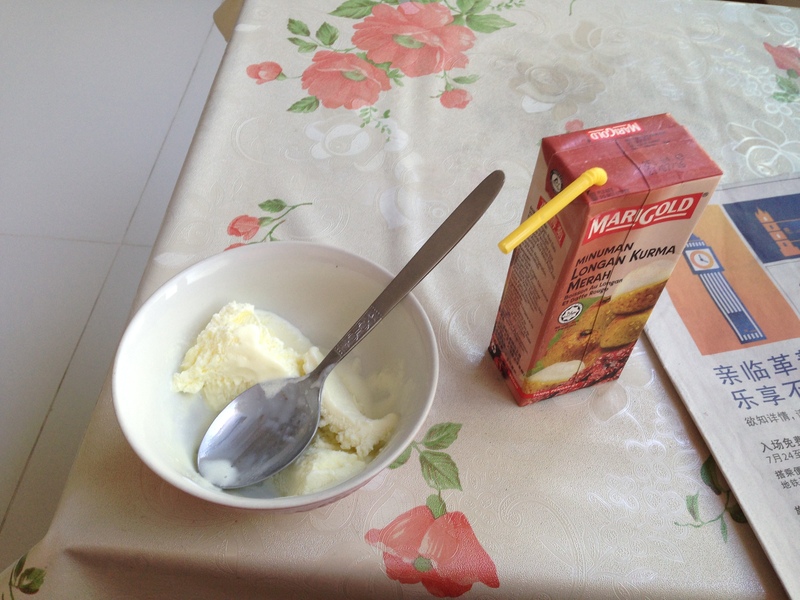 The instant we got to her apartment, I was greeted with offers of ice cream and a longan red date juice box. (These juice boxes are fairly popular, and rather good, like an Asian version of Capri Sun without the sourness). Grace’s mom would like me to advertise that although I liked all the flavors I tried, my favorite juice boxes were Ribena Blackcurrant & Strawberry. If anyone wants dozens of SG50 Hello Kitty headbands, let us know! No, the only edible pandas they had were cute steamed buns with chocolate inside. The cuisines weren’t THAT local. It goes on. Food made a prominent appearance in the sermon last Sunday at church: The pastor read a Facebook post of the president, who had praised the excellent chicken rice stall at the carnival that the church had held the previous day. Even the scandals are about food: While we were there, confectionery chain BreadTalk came under fire for repackaging soya milk (soy milk) as “freshly prepared” when they had in fact ordered it in bulk from a third party. There was talk of boycotts of the chain, although the next day they still seemed to have plenty of customers. In interacting with Grace’s parents, particularly over hot pot (cooking strips of meat, fish and veggies in a big pot filled with water using an induction cooker in the middle of the kitchen table), I’ve learned another crucial Chinese phrase: “chi bao le” (吃饱了) meaning “I am full already.” That hardly discouraged them, though. 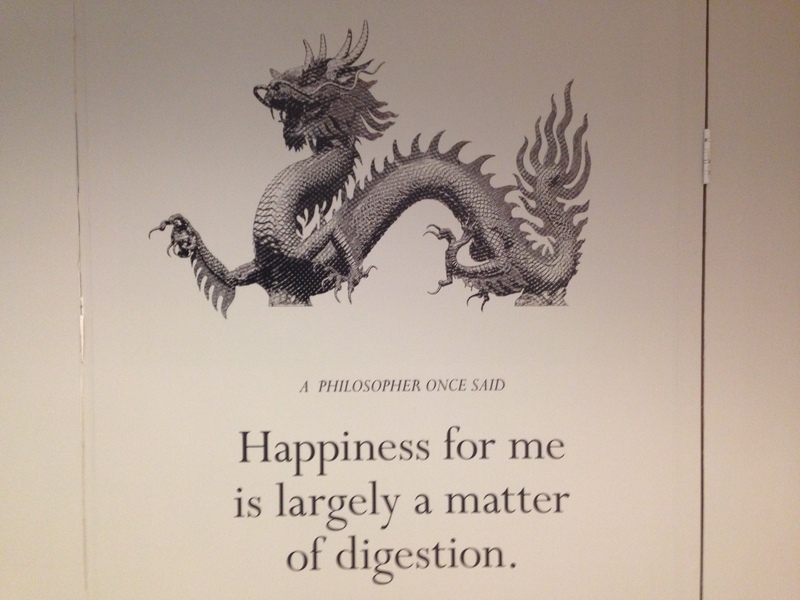 If I could only pick one characterization of Singaporean culture, it would have to be The Land of Food. How do we manage to eat at so many places? If we tried to have a similar regimen in the US, it would involve so much walking that we might actually burn off all the calories from eating, as well as the soles of our feet. 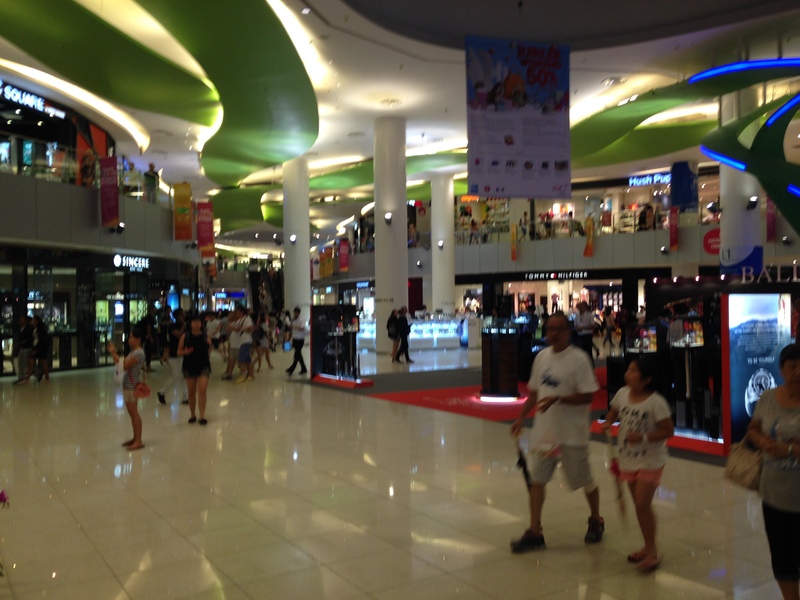 Fortunately, Singapore has a solution to this problem: Huge malls stuffed with food everywhere. If that sounds like paradise, well, it pretty much is exactly what you’d expect. Look at how many food and beverage options there are! This isn’t just one dinky food court. 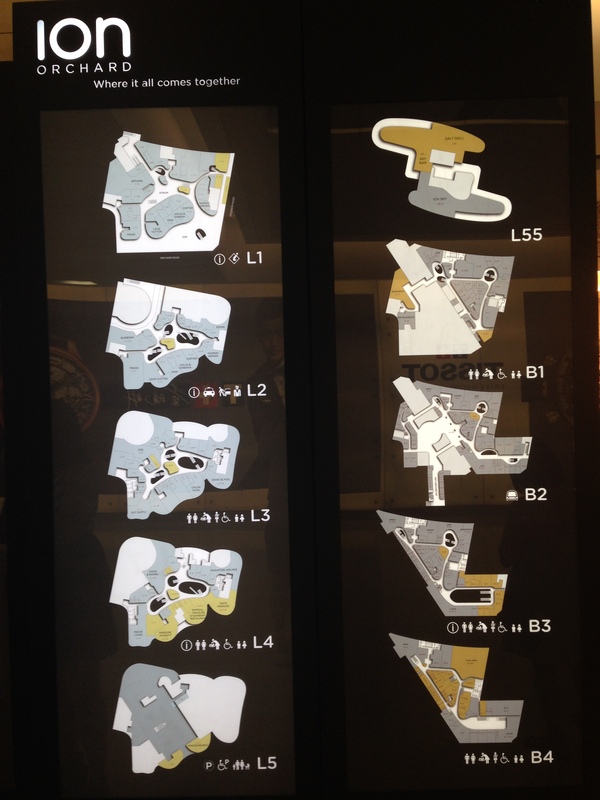 In fact, around half of the subway stops open into giant malls, with several floors above and below ground. Here are the floor plans for one, with 4 basement levels in addition to 5-6 above ground. We were on B2, and trying to find a bathroom. Good thing we realized we’d need to go to a different level. I don’t particularly like most American malls, but these weren’t all about clothing and fashion. 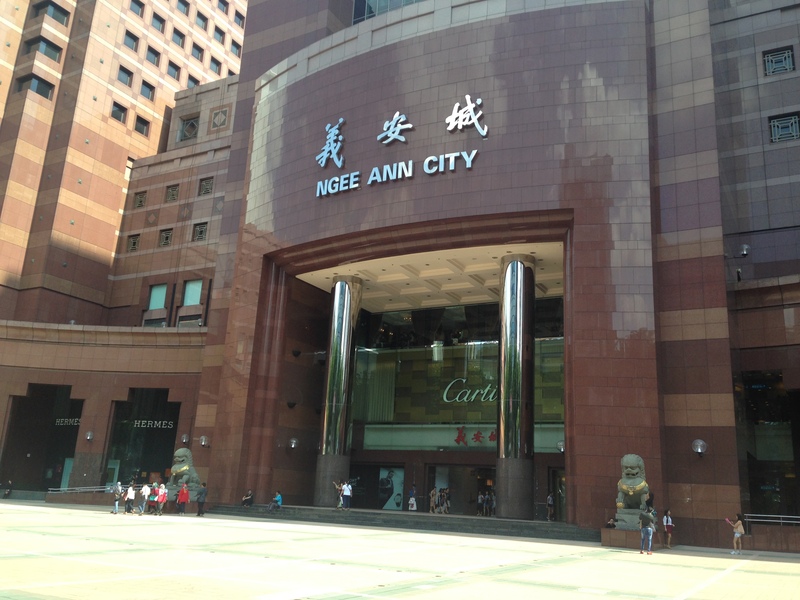 There’s obviously much more food, including food courts, bubble tea shops and so on. Almost all of the restaurants we went to were in malls. In two weeks, we only ate at standalone restaurants three or four times. And it makes sense: the subway stops are the most convenient places to meet people, so you might as well go to the mall that’s attached. Even the buses have KFC advertising on them! This one was more high-end, but they had a nice bookstore. This is a panoramic shot (we like to say “paranormal”) so it’s actually not round like it looks. This mall might have had elevators, but we always took the escalators. 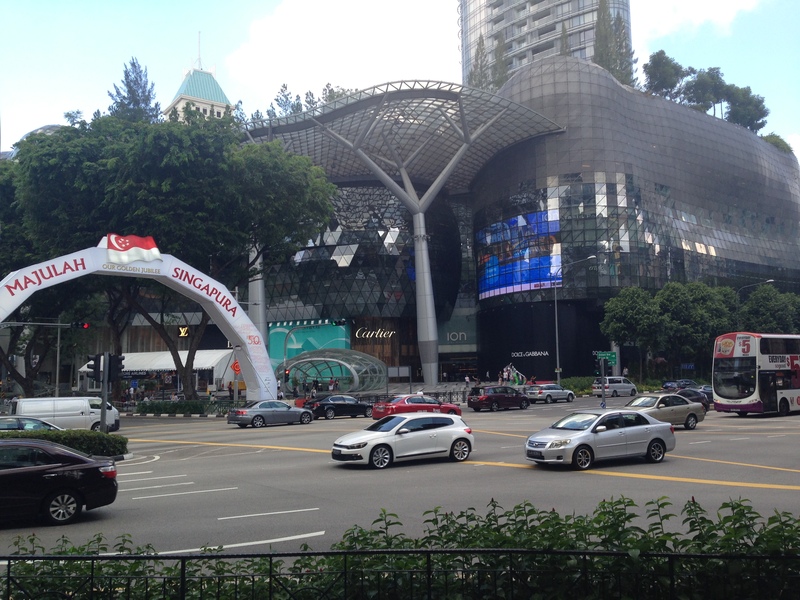 This mall was big enough to be called Vivo City. 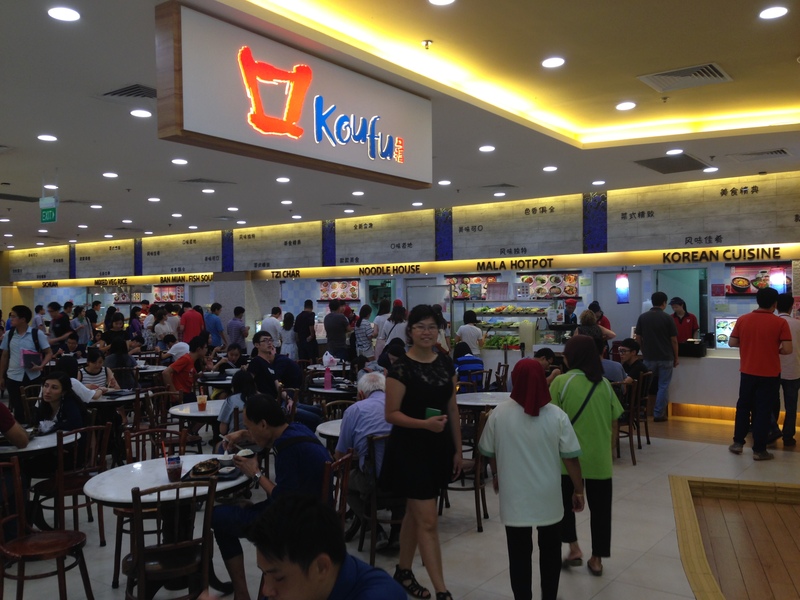 We ended up patronizing four shops on this level B1: The KOI bubble tea cafe pictured, a Thai Express for lunch, a Ipoh Chicken Rice and Bean Sprout for dinner, and a Taste Better where we got durian puffs. 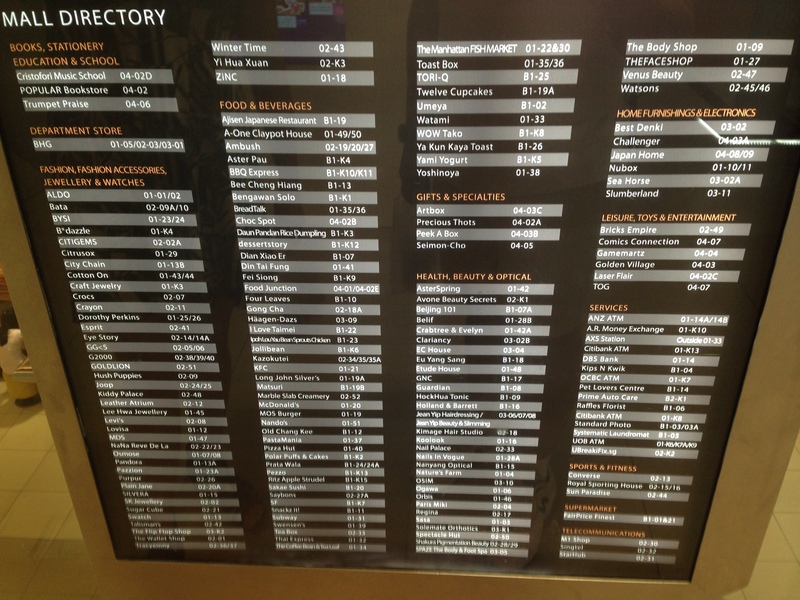 In addition to food, the other thing I like is that many malls actually have useful stores. One of the first repeated stores I noticed was Cold Storage, a high-end grocery store like Whole Foods. The first Tuesday, we visited another cheaper one (a la Shaw’s) in a mall with Grace’s dad to cook for hot pot. Afterwards, we got relatively cheap haircuts in the same mall (mine was S$10, or around US$7). Grace and I counted them up, and in all, we visited 16 malls in these two weeks. If you’re curious, here’s the list: Bugis Junction (twice), Bugis+, Far East Plaza, ION Orchard, Junction 8 (twice), Marina Square (twice), Mustafa Centre, Nex (many times), Ngee Ann City, Plaza Singapura, Raffles City, Seletar Mall, Shaw Centre, Suntec City, Thompson Plaza, VivoCity, and Wisma Atria. 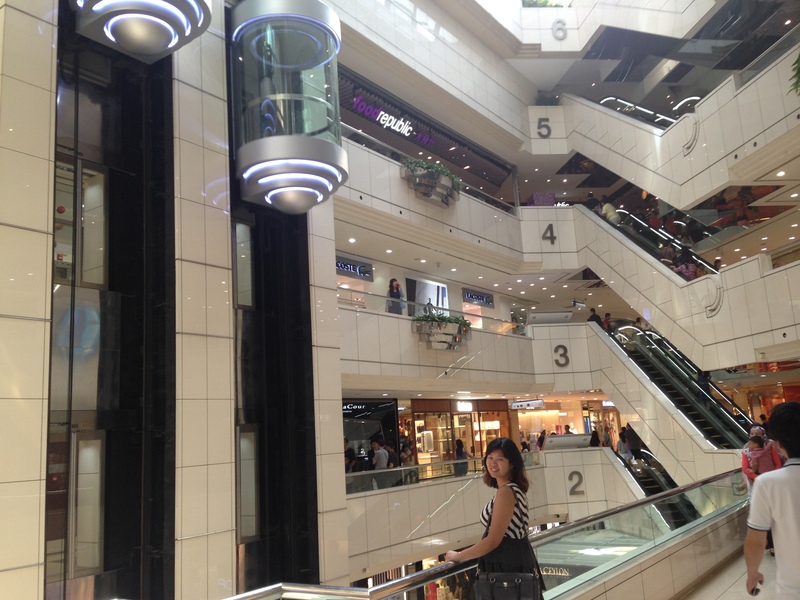 Along with the subway system, all these malls make Singapore into Escalator City. Speaking of the subway system, I found it very convenient and modern. I don’t have a ton of experience with subways; besides in Boston, I’ve only taken subways in Washington, New York, London, Los Angeles, and Taipei, but among those, Singapore’s was definitely the best experience. The grey LRT lines are light rails, mainly serving residential areas. I wish maps like this were more common! Isn’t it useful to connect your simplified map of the underground to the above-ground locations you really want to go to? Well, if you just want to go to the mall there, I guess that might not be the case. 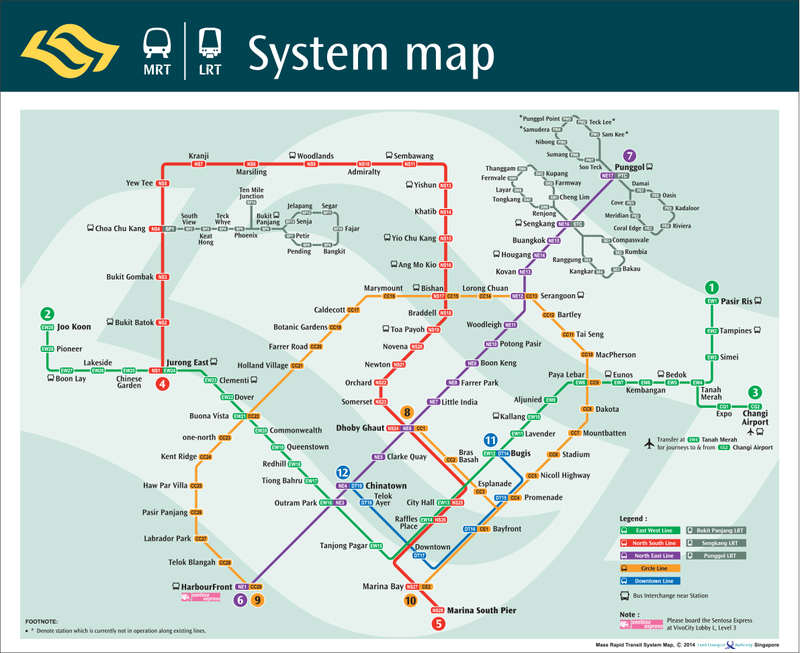 Grace’s parents live between the Buangkok station on the Northeast line and the Renjong light rail station (one stop along Sengkang’s western loop). 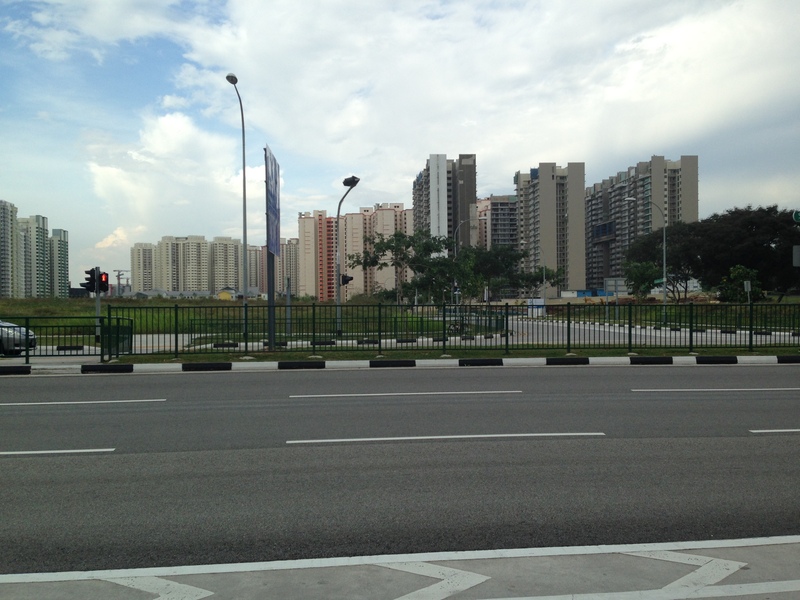 Both are walkable, but we naturally usually go to Buangkok, except when visiting her mom at McDonald’s in Fernvale. Over the course of our time, we’ve taken the public transportation every day, spending around $60-70 in two weeks. (If we were doing this on a regular basis, of course, we’d get some kind of monthly pass.) We took every line depicted above, except the LRT off of the red line in the northwest. We’ve been through all of the Northeast and Downtown lines, stations CC1 to CC24, EW 8 to EW 21, NS 17 to 26, or 71 of the 113 stops, 63%. 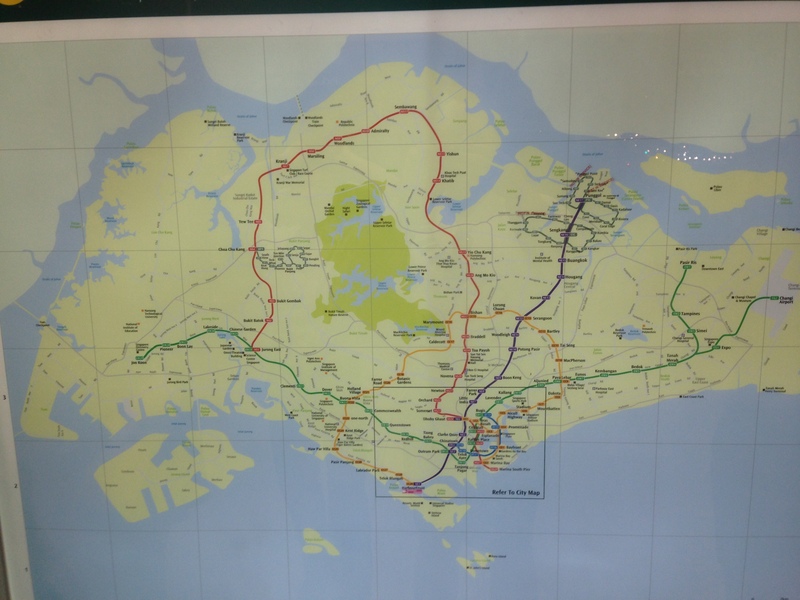 Similarly, we took three of the five light rails: Both from Punggol and the western one from Sengkang. If you look closely, the green label is in all four official languages: English, Mandarin, Malay, and Tamil. The announcements are also in these four languages, and I mistook “Bahati-hati di ruang platform” (Malay for “mind the gap”) as “We’re happy to welcome you to our platform” for long enough to be embarrassing. Singapore is notoriously clean, and one way they keep the subway clean is by using plastic seats. They were still moderately comfortable, and definitely preferable to standing, especially being as tall as I am. I’m average for the US, but in Singapore, I have to dodge those handlebars at the top of the train to walk through. At every station, there are places to stand for those who want to board on either side of the doors, with the center reserved for those exiting the train. And people actually follow those, forming orderly queues on each side! Coming from Boston, this was very encouraging. I’ve been over an hour late to softball practice during rush hour because I simply couldn’t get on the Green Line trains at the Hynes Convention Center stop. The trains would pull up in different locations, which made it hard to predict where to stand to get to the front of the line. 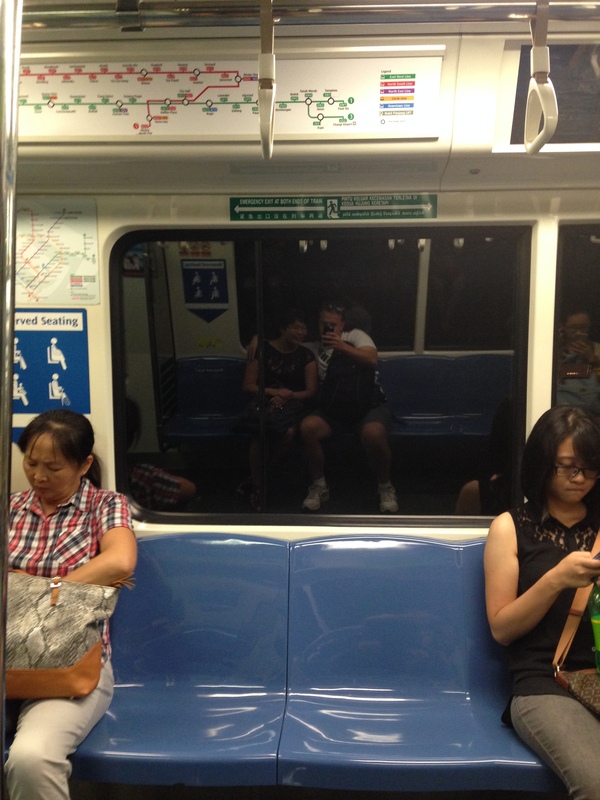 Needless to say, there were no such problems, even in the crowded rush hour trains, in Singapore. Looking up the statistics, around half of Singaporeans use public transport to get to work, which is on par with New York and well above all other US cities. 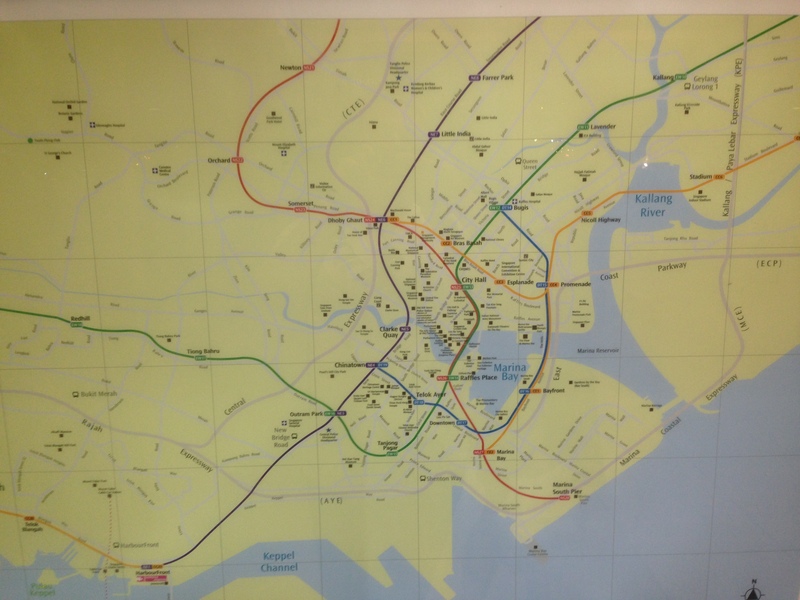 There are aggressive subway expansion plans, which seem to be replacing the bus routes that are the main alternative. As someone who occasionally gets a little queasy on buses, this is a change I am very happy to see. Over the reservoir and across the dam, to grandmother’s house we rode! One downside of living in a city is that I get an eerie feeling of uselessness from seeing so many people that I will only ever interact with briefly, if at all. That feeling is only stronger when I see where they all live. “What are those buildings?” I asked. “Oh, those are apartments.” Grace answered. “And those?” “More apartments.” Pretty soon I stopped asking. 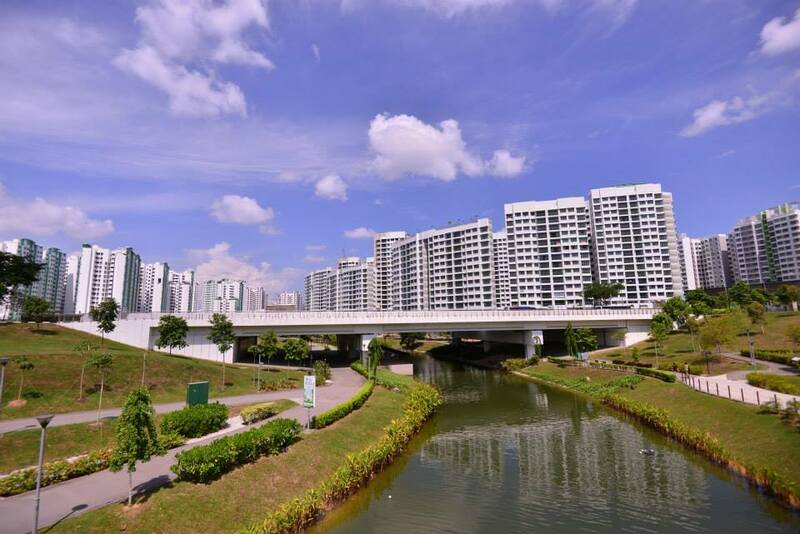 These newer flats near the Punggol Waterways are hot commodities. Each family can only buy two subsidized new government-subsidized flats over the course of their lifetimes, though, so it’s a strategic timing decision of when to utilize those opportunities. Grace’s parents’ apartment is on the 15th (top) story, so we can also see construction cranes like these dotting the horizon kilometers away. This particular construction project complicated our attempt to get back to the light rail after crossing a river. When I first arrived, these complexes felt very futuristic. Giant towering buildings surrounding you and living on the 15th floor tend to do that to you. I’ve gotten used to the sights now, but it’s still quite remarkable how many people the government has been able to house, and in such a small area. Maybe Manhattan is similar, but you don’t see the same degree of concentrated living arrangements in Boston or San Francisco, where more housing is desperately needed. And I think that that government involvement is key. Left to themselves, people tend to disperse like a gas, spreading out all over in search of their own landed property. The result is either suburbs of Boston spanning half the state of Massachusetts, or sprawling metropolises like greater LA where everyone needs to drive across town and end up hating their fellow commuters. I bring up LA because it was built and expanded relatively recently. City centers like those in Boston and New York are able to remain small because of historical reasons; they were built before the automobile. Unfortunately, all of the cities that were built before the car were also built before air conditioning, so they tend not have very good weather, as the last Boston winter drove home. So the warm-weather cities are ridiculously spread out because people have cars, and the cold-weather cities are annoying during winter. The only real way to stop expanding is to be geographically constrained: If you focus your attention on San Francisco itself rather than the whole Bay Area, it seems like everything is pretty close together, because the peninsula forces it to be. So SF might be the closest thing to a warm-weather compact city that the US has. 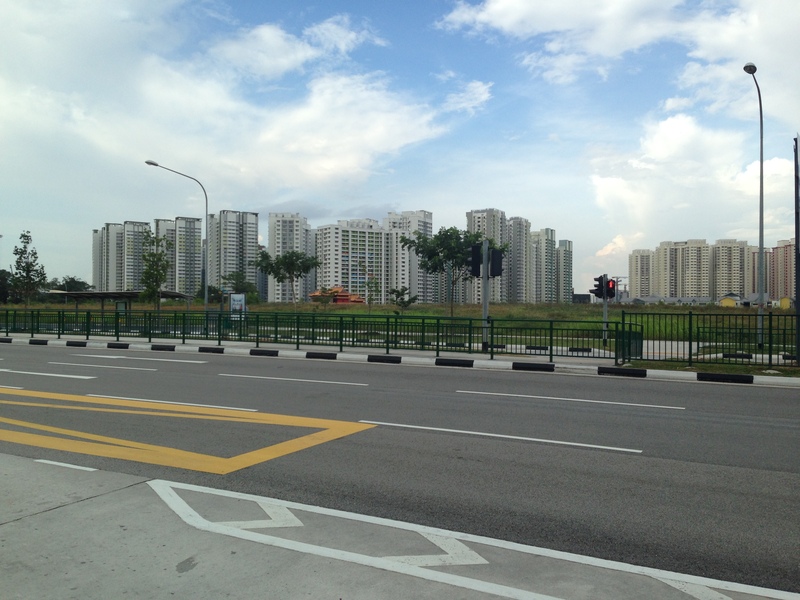 But Singapore takes this a couple steps further as an island nation-state, a true City Without Suburbs. With such extensive urbanization, though, have come some other unfortunate side effects. We also started imitating the animals we saw. I thought this one was a particularly good match. Even other people started taking pictures of this one. The full collection is on Facebook. Government action is obviously necessary for some of those sorts of concerns, the usual solution to coordination failures like a tragedy of the commons. What were they unable to fix, though? As I asked some of Grace’s friends what the biggest remaining threat is, they brought up the low birthrate. Singapore averages 0.8 children per woman, well below the required 2+ to sustain the population. The country is only continuing to grow in population because of massive waves of immigration, most frequently from Malaysia and China. Her friend Matthew explained that many foreigners migrate to the country but fail to fully integrate into its culture. I recognize the same problem in the US, especially in places like the San Gabriel Valley where Caltech is. “Are we still in America? Then how come there’s still a language barrier?” the Fung Brothers rap about the region. But once you get to the second generation, children of immigrants (including so many of my friends) seem to end up integrating in fully. Maybe Singapore just needs to wait and see how things go, I offered. There are added worries, though, that tend to go along racial and religious lines. Another one of Grace’s friends pointed out that it seems to be much easier to become a Singaporean citizen from China than from Malaysia. 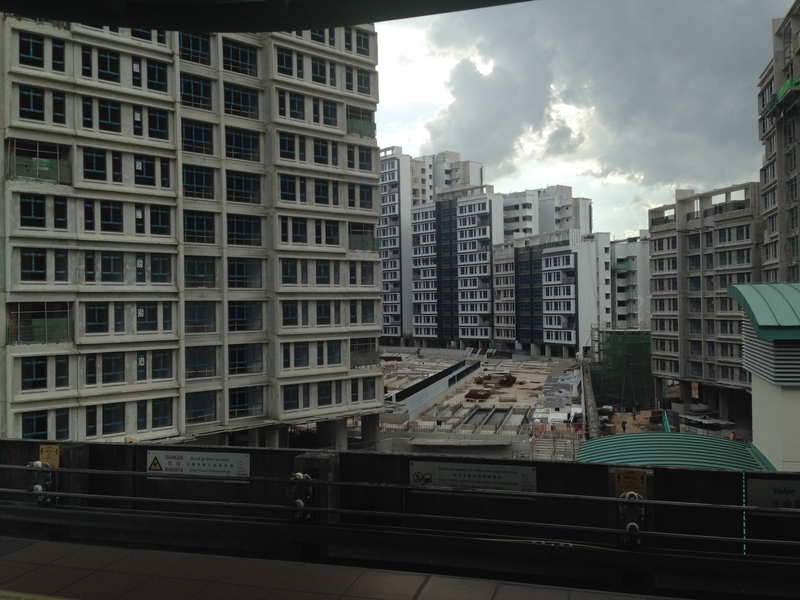 Malays are the biggest minority in Singapore, and generally tend to be poorer. The government officially embraces multiculturalism, requiring each new HDB block to have a mixed racial composition (within a range), as well as promoting Malay Singaporeans with handouts like race-based college scholarships, at least in the past. But at the same time, they seem to be trying to be selective about exactly who can become a Singaporean in the first place. How far are you willing to stretch for multiculturalism? According to Wikipedia, 99.6% of Malay Singaporeans and 0.5% of Chinese Singaporeans are Muslim, going well beyond a stereotype. (You can’t quite turn both of those around, since there are some Indian Muslims, too.) Grace had a close Malay friend in primary school, but language classes, Ramadan fasting and other similar Muslim practices pulled them apart. She observed some Malays complaining that they were at a disadvantage because of their race, but also saw them having to sit out of PE classes and other activities since they were fasting. On a different note, the rise of ISIS has also fueled worries of radical Muslims either targeting or co-opting Singapore. How do you handle affirmative action in a situation like this? With such a close tie between race and religion (for Muslims), how do you distinguish the consequences of racism from the consequences of adherence to Islam? How can such different peoples remain distinct, but together? These are the difficult questions they have to address. US couples might think they’re being snarky in making a bumper sticker with the couple and a pile of money, but really, they’re just advertising how selfish they are. Parenting is a strong way to contribute to the world through your children, but apart from strong biological impulses, very few would do it. And Singaporeans recognize this. In a speech at the carnival they put on, the pastor of the church we attended touted the number of marriages performed and children born in the church, that they were doing more than their fair share to fix the low birthrate. Non-Christians as well: One of the engineering couples from Cambridge we met with brought their 8-month-old child along. The father studies the birthrate in his job with the National Population and Talent Division in the government, and pointed out proudly that they were younger than the average new parents, while his wife commented on how little the government assistance mattered compared to the actual cost of raising her daughter. Even with the racist/religious undertones, it’s somewhat refreshing to be somewhere where everyone realizes that people are the key to the future as well as the present, and is willing to say with open arms: Babies Wanted. 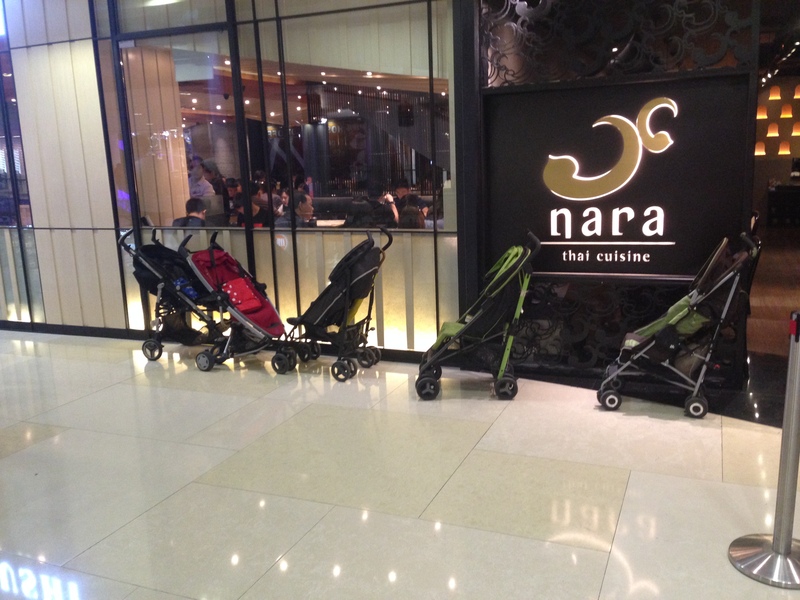 Babies + Malls = Strollers. Most of what I’ve said so far has been fairly positive, and that’s an accurate general impression. But there were also several things that hinted at a less ideal state, and disappointed me a bit to see. We met up with a lot of Grace’s friends, and though she’d only been gone a year, there were still quite a few changes. Some were exciting: One of her best friends got engaged while we were here, and I mentioned the child that a couple more now had. But there were also plenty who had voluntarily left the places where they knew each other, without any obvious necessary cause like moving away. Of course, I also wouldn’t know so many Singaporeans at MIT if they hadn’t left their country to go to grad school in the US. Many, including Grace, are slingshot back through government bonds requiring them to work for a certain number of years after completing their degrees. But again, without this government intervention, we would probably see a similar brain drain of the top students away from Singapore to the US and Europe. The Singaporean universities, National University of Singapore (NUS), Nanyang Technological University (NTU), Singapore Management University (SMU), and the new MIT-collaborating Singapore University of Technology and Design (SUTD), are actually pretty good internationally. The first two are ranked 25th and 61st on the Times Higher Education rankings, and I think the latter two are too new to rank. NUS is between Carnegie Mellon and UWashington, and NTU between Penn State and Ohio State, to pick the closest US examples. Despite these good examples, Grace’s top high school (Raffles) frequently tried to place its students in the even higher-ranking schools internationally, like Cambridge (#5), where she went. As she explained while we visited Raffles, the bar for getting into NUS to study engineering was low enough for most Raffles students to make it into a safety school. So brain drain is a serious issue, and the government seeks to correct it with generous scholarship grants tied to years of working back in Singapore. 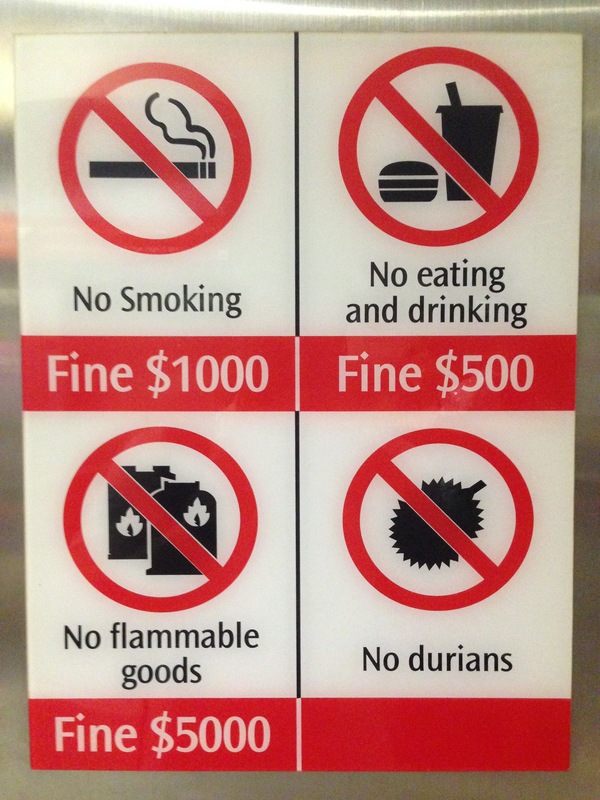 Why is the fine amount not listed for bringing durians on board? Does it depend on how bad-smelling they are? Or do they just take the durians away? But what if the government can’t set the rules? I naturally noticed this contrast most starkly in Singaporean restaurant etiquette. On the plus side, tipping is not practiced in Singapore. 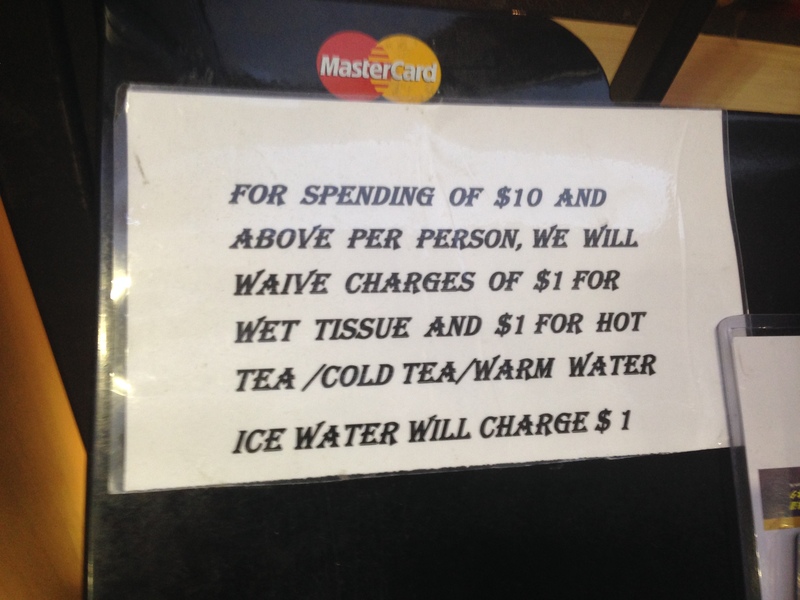 There’s a standard 10% service charge, where applicable, and it’s automatically added to the bill. Now we just need to do arithmetic to split the bill, not to figure out how much the total should be, making the end of these gatherings much less stressful. On the other hand, there are plenty of things that they can’t really regulate. Napkins are the most obvious: In the US, you could, hypothetically, use a lot of napkins, maybe stuff them in your pockets and bring them home. But not in Singapore, because there is never a stack or dispenser of free napkins available at your table. Some of the nicer places did provide them, but they were rather conspicuously absent even in food courts, apart from some that people would bring with them. At first, this seemed weird to me, like a store requiring you to bring your own pen to sign your credit card slip. I thought Singapore was a clean place, and here they are not providing napkins to clean yourself! To be honest, it still seems weird, but I can see that you can’t just attach a ball chain to a napkin. I already bring a pen with me wherever I go, and it wasn’t hard to remember to stuff a tissue package in the same pocket. In the classic prisoner’s dilemma, two prisoners are taken in with damning information about each other, and they are interrogated separately. If they both stay silent, they’ll each get a mild level of punishment. If one of them defects on the other, he will get a lighter sentence at the expense of his comrade, who will fare worst of all. If they both defect, though, the situation will be worse than if they had stayed silent, but they will share the blame so it won’t be as bad as only the other prisoner defecting. In this situation, commonly studied in game theory, the best collective move is to cooperate (stay silent), but no matter which position either is in, it’s more attractive to that individual to deviate. In the napkin situation, if napkins were available to anyone who needed them, we would all be cooperating. But someone could choose to take a lot of napkins for themselves, gaining at everyone else’s expense. So the restaurants don’t give free napkins in the first place, and we’re all worse than otherwise. 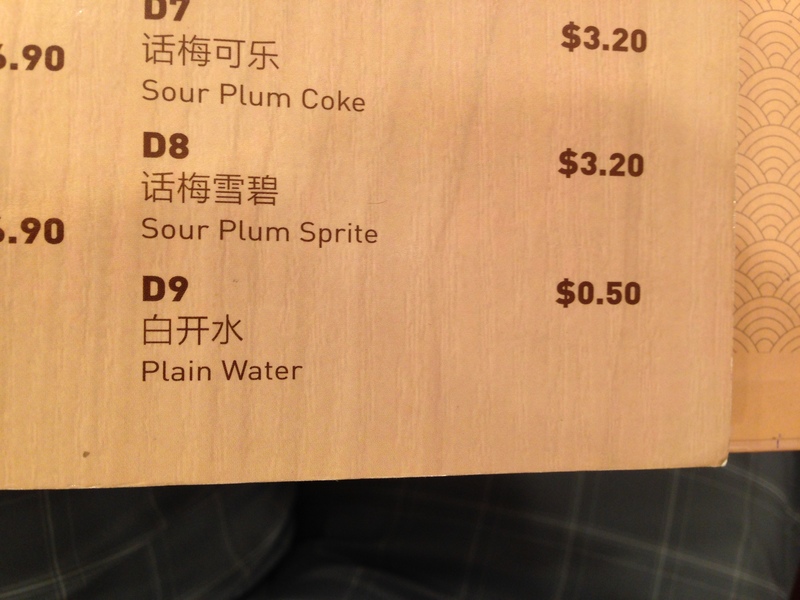 The sour plum juice we had at a different place was actually pretty good and not too sour. We spent enough, but I also got into the habit of bringing water bottles with me. Why would you need to make such a complicated rule? It seems that the restaurants believe that without such a restriction, people will abuse those free privileges, e.g. 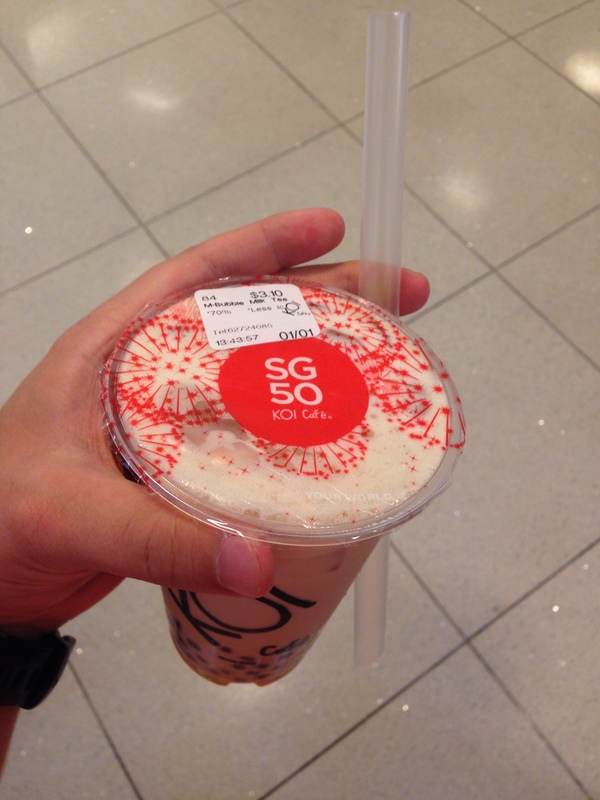 by coming in to drink the tea and leaving without buying much. Is this a realistic concern, with the napkins or the water/tea? More exactly, is it a realistic concern in Singapore, but not in the US? Possibly. Consider that Asian immigrants to the US stereotypically pillage hotels’ free shampoo and other items (#19). Chinese culture might just not have this Western hospitality practice previously ingrained. Add onto that language differences in a country with four official languages, and cultural norms like “don’t take all the napkins from the food court” might be difficult to collectively agree on. 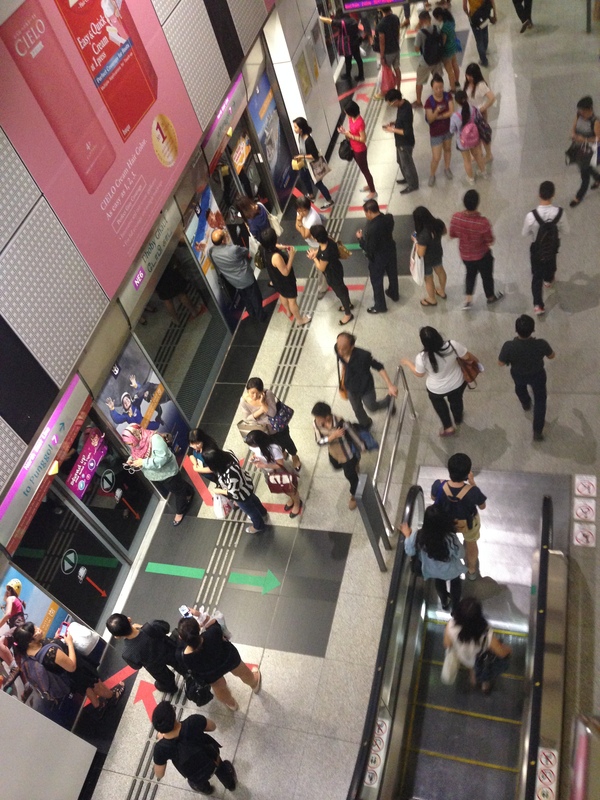 Singaporeans are very good about following rules, as the orderliness I saw on the subway indicates. Where the government and other institutions see good ways to overcome coordination failures, whether by building apartments to house families, providing bonuses to Singaporean parents, levying fines against smoking in the subway, bringing students back to work in Singapore after their studies, making cars very expensive to buy, or standardizing a 10% service charge, they do so. But where they don’t or can’t, the people take full advantage for themselves, showing the extent to which defectors abound. 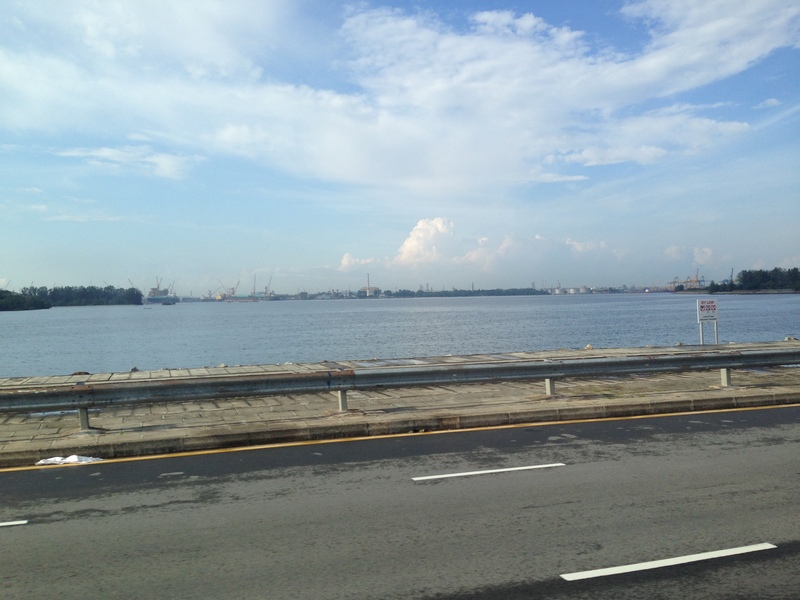 Singapore is a wonderful city and country, and I’ve been thrilled to visit for my first time over the last 2 weeks. I’m fascinated by their food-based culture, gigantic food-filled and useful malls, housing for everyone without suburbs, and desire for children, even if there are still some coordination failures in a country where the government can’t solve them. At the same time, this is just my first two weeks in the country. You’ve probably spent much more time than me here, and I’m sure I’ve misrepresented some aspects. Feel free to correct my understanding in the comments, or ask questions about other facets of the country that I have yet to write about. I do have one more post planned, a more personal look at Singapore, mainly addressing different features of a common question: Could I imagine myself living here? I also have at least a couple more general posts in mind, based on, but not exclusively about, my experiences here. Finally, here’s a challenge: Grace appears in 9 of the pictures in this post (and two more where you can’t see her face, but I won’t count those). Can you spot her? 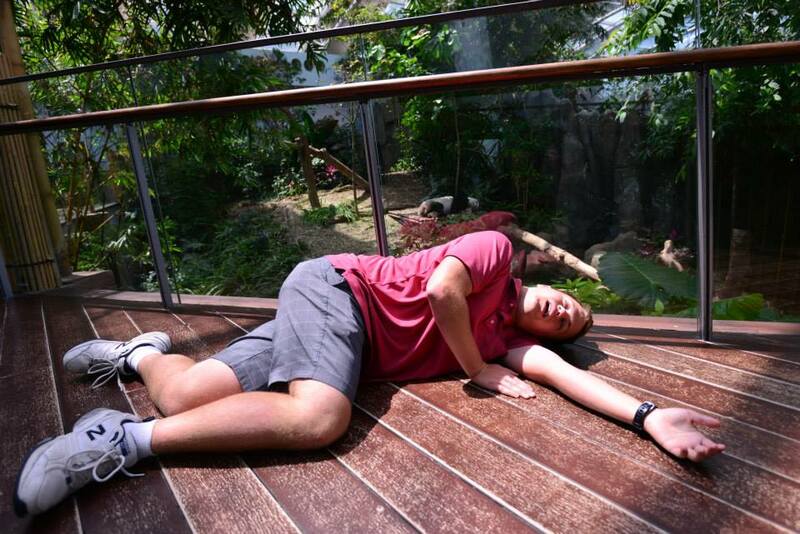 I like the way you categorizes your Singapore impressions, and the “Where’s Wally?” challenge. Happy SG50!